If personalised jumpers are what you need, then you’ve come to the right place! Whether you need them for promotional reasons or to keep your team warm during the colder months, chances are you’ll find just the perfect printed sweatshirts and custom jumpers here. 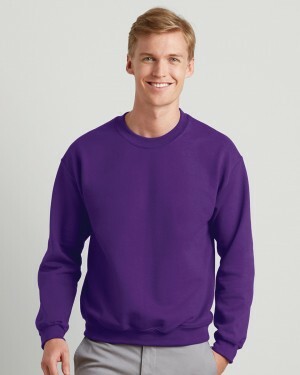 Don’t know what’s the right option for your custom sweatshirts? Get in touch and one of our experts will be more than glad to help you with the selection of your garments. Already have in mind what you need? Then, go ahead and get a quote! Personalised jumpers are one of the most popular promotional clothing among all type of garments we offer as they are super comfortable items to wear. Not to mention, same as personalised T-shirts, they are easier to customise. Thanks to our wide range of custom jumpers within our catalogue, you’ll be able to run the most complex of marketing campaigns during cold days or maybe organise the best welcoming packages for your clients. At Printsome we will always give you expert advice. Depending on the purpose of your printing needs, we might recommend differently printed sweatshirts. For example, if you are looking for printing in bulk and you have a simple design with just a few colours, then we would advise going with screen printing. Keep in mind anyway that from our experience with bulk T-shirt Printing, we can say that also for jumpers, is your best way to save money and time. Printsome is an online T-shirt printing agency all around the UK with an especial focus on Marketing and PR agencies looking for personalised jumpers or any type or personalised garment for events (they love personalised hoodies and T-shirts!). Also, any company who would like to personalise corporate clothing, or clubs looking for their team to be unique with personalised sportswear. Looking for t-shirt Printing Bristol? Custom jumpers in Glasgow? personalised aprons and workwear in London? Take a look at the wide catalogue we have carefully chosen for you, we deliver all around the UK! Printsome came here with one purpose: make things easy! Sounds good, right? The best thing is, it is true! We have a team of printing experts that will specialise on your project and will help you with everything you might need during the process. They are friendly people who will be in charge of everything so that you don’t need to worry for more than to be at home when your custom sweatshirts arrive. Our team might also help you to save money! How? They will recommend only what fits your needs. Let’s learn a bit about printing techniques: Screen printing is the oldest of all printing techniques, but one of the most effective as it provides great quality for a fair price and is able to reproduce designs in record time. Keep in mind that it’s got some setup costs which is why it is not often recommended for small orders. Dtg printing works pretty much like the inkjet printer in your office, it injects ink directly into the item. But instead of paper, it uses fabric. Personalised jumpers are ideal as promotional material since it is practically guaranteed that people will end up wearing them. You also can have your logo embroidered onto the printed sweatshirts and have your staff use them as uniforms reaping the benefits of free promotion. And for the summer nothing more comfortable and elegant than embroidered polo shirts with your logo. 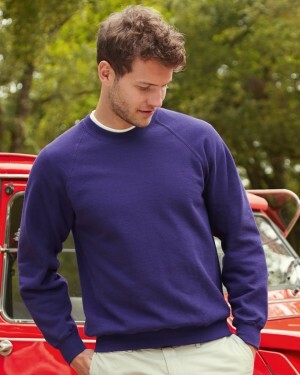 Whether you are looking for men’s or women’s jumpers, our range of garments provides both with the option of unisex jumpers that are perfect for bulk printing orders. 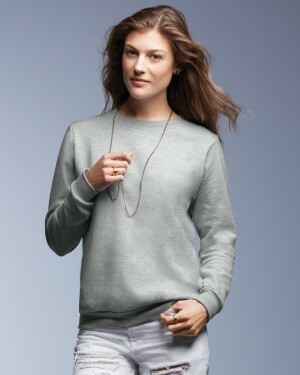 custom sweatshirts that are designed for women include side seams, to create a more feminine fit. No matter what your printing needs are, you are sure to find everything you need in our personalised clothing catalogue. Looming deadline? Worry not. We’ve got two types of deliveries that will adapt to almost any situation. Standard works between 5 and 10 days, while express will get your package delivered in 2 to 4 days. Don’t know which printed sweatshirts to buy? Any questions? Then give us a call. One our advisors will definitely provide their expert advice to help your order be what you had in your mind!